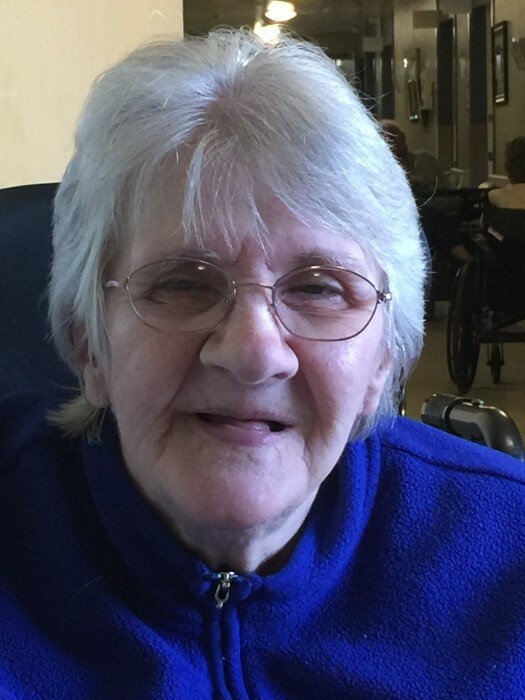 Obituary for Janet P. (Grueling) Fleming | Kostanski Funeral Home, Inc.
Turners Falls------Janet P. (Grueling) Fleming of Montague City Rd. died Thursday (1-31-19) at the Farren Care Center. She was born in Greenfield the daughter of Paul and Florence (Larabee) Grueling. Janet attended Arms Academy. She worked at Mayhew Steel Products for 21 years, was a security guard for various companies in MA. and VT. And later was a nurses’ aide for various nursing homes in MA. and VT.
She enjoyed trips to the beach, watching the Red Sox’s, Wheel of Fortune, Jeopardy, and listening to music. Janet was predeceased by her husband Harvey Fleming, they were married Jan. 16, 1988. Janet was also predeceased by her parents and her former husbands Joseph Schechterle and Richard Shippee. Janet leaves her daughters: Eileen Lavin of Shelburne Falls, Dallas (Dawn) Schechterle of Swanton, VT and Samantha Shippee of Shelburne Falls. Grandchildren: Geofrey (Kimberly) Billiel of South Deerfield, Joseph (Jessica) Perkins of Burlington, VT, Sarah St. Gelais of Swanton, VT, Colby (Katie) Lavin of Erving and Kristen (Ryan) Martin of Charlemont: Seven greatgrandchildren. Janet also leaves her sisters; Beverly Stafford of Turners Falls and Lucy Bonnette of Greenfield, two brothers, Louis Greuling of Belchertown and Paul Greuling of ME and several nieces and nephews. A graveside service will be held at West Branch Cemetery in Colrain in the spring. There are no calling hours. The family would like to thank the Farren Care Center for their exceptional care. Arrangements are under the direction of Kostanski Funeral Home.